Synthetic grass is the perfect Soccer field surface for high-performance athletics and sports such as football. While dealing with a sport where there is higher contact involved, the performance surfaces are vital. 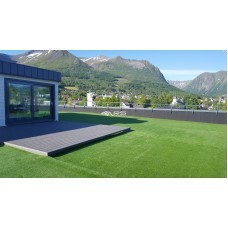 There are manifold artificial turf items available on the market these days that are particularly made for football. Well, numerous professional stadiums, local parks, and high schools have installed artificial football grass. Unlike a regular grass field that needs gallons of water because of their huge surface areas, artificial Football grass field needs no watering whatsoever. And this can save a huge amount of money, particularly in drier months when the natural field needs more watering. 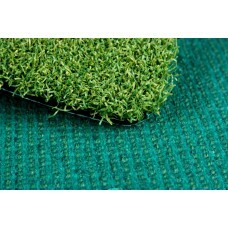 Artificial Football grass field even remains healthy-looking and lush throughout all seasons. Not only this, through the toughest of weather condition, the whole synthetic lawn field would remain green. In addition to this, overall maintenance cost for artificial grass quite affordable with as given below follows. Artificial grass for football and athletics is particularly engineered for comprehensive durability to survive the roughest and toughest of play. Unlike natural grass that needs heavier maintenance and fails to survive many years if athletic performance, synthetic grass or lawn generally holds up even after a game. Well, football turf usually has an infill layer that contains sand particles and small rubber which lay softly in between the synthetic grass blades. The infill aids to acts just as a cushion for players, guarantying that impact, as well as contact is less risky, this lessening possible injury and wound. 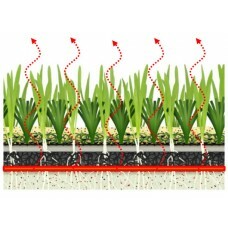 Polyethylene blade ensures the comparability in the texture of the natural grass, making certain that the surface is not slippery or too hard. Research has shown that artificial turf field has traction which is most comparable to the natural grass field. Therefore, the same football cleat can be worn on the artificial turf field without fear for slippage. General performance safety has even been proven great for synthetic turf football field over regular grass football field. Research has shown a remarkably less incidence of muscle tears, fewer ligament tears, fewer ACL injuries, fewer concussions on artificial Football grass field. Football is one of the dangerous sports; however, the grass surface the players are playing on doesn’t need to be. So, in such a situation, artificial football grass is an ideal solution. 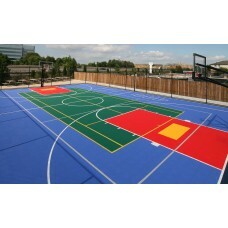 There are numerous companies that provide their clients with an exquisite array of artificial turf. All you need to do is to find out a company that is able to fulfill your needs and requirements in a better way. ARS Turf’s multi-sport synthetic grass is transforming tired school grounds into brilliant. Artificial turf system consisting of Ars Turf prefibrillated curly poly proplene filaments. Artificial turf system consisting of Ars turf texturize-monoflament polyproplene filaments.The Arstur.. Artificial turf system consisting of Arsturf prefibrillated polypropylene filaments and fine tuned system with foam shockpad layer. Golf Turf - Golf Course AreaGolf is known only by its players. Ars Sports has developed a synth..